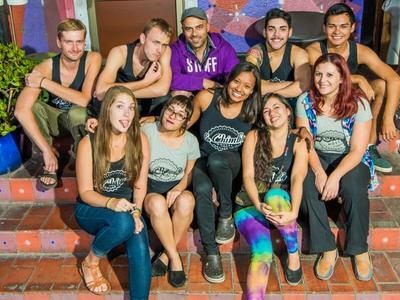 You are applying to work on a tour desk at one of the most incredible hostel you will ever meet. The position requires you to speak English and Good Spanish or The other way around. Portuguese is a plus. This position is a great opportunity for the traveller that wants to learn and visit places free or with a huge discount. Guia local: Ajude a organizar e guiar tours pela cidade. The work consists on helping guests get around and sell tour packages. You will be sitting on a desk on busy hours.